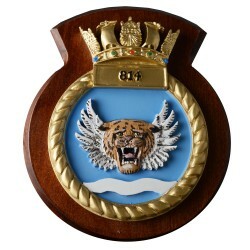 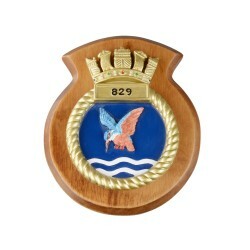 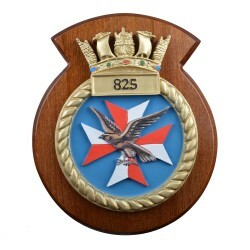 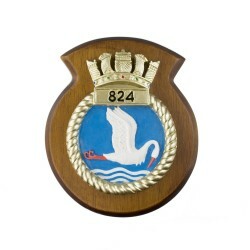 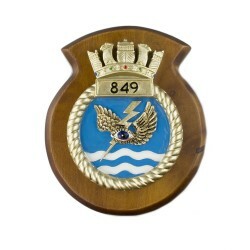 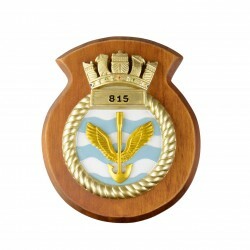 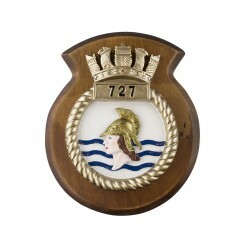 846 Naval Air Squadron unit badge, also known as a plaque or a crest. 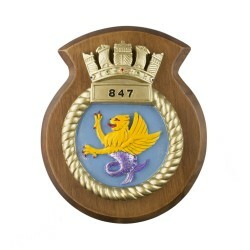 The 846 NAS units badge features a person on a winged horse above 3 thin white wave striped lines and a sea serpent, all surrounded by a gold twisted rope topped by a naval crown. 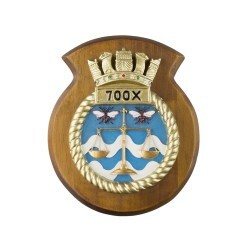 750 Naval Air Squadron unit badge, also known as a plaque or a crest.The 750 NAS units ba..
727 Naval Air Squadron unit badge, also known as a plaque or a crest.The 727 NAS units badge f..
700X Naval Air Squadron unit badge, also known as a plaque or a crest.The 700X NAS units ..